You may or may not be in the market to sell your house right now, but you do want to increase its value. After all, it’s likely your most valuable asset. You want to be smart, however, and add value in the most cost-effective ways. Consider the following 7 tips on increasing the value of your home. Selling a house is a major undertaking. It can be overwhelming to think about everything you’re going to have to do. Whatever you do, don’t let your home value be an afterthought. Get started increasing its value even now. After all, little things go a long way. Make good use of your lighting. Dimmer switches can enhance mood. Add lights on motion sensors outside. Use high wattage to make small rooms feel larger. Consider updating old fixtures with newer styles. To increase natural lighting in your home, invest in sun tubes. LED lights will also save money on the electric bill. What do people think when they first see your house? Walk across the street and take a look. What do you see? Update and maintain your landscaping. Keep your lawn mowed and your sidewalks and yard neat and clean. Consider adding flowers in your flower beds or on your front porch. Make sure your front door is noticeable and welcoming. Are there any visible maintenance issues? People want a home that is attractive and structurally sound. One of the simplest ways to improve the value of your home is simply to keep up with the cleaning and maintenance. Replace siding that’s old and worn. Make sure your pipes are all working well and you have no hidden leaks. Is your attic properly insulated? Have your roof inspected and repaired or replaced if it needs it. Fix leaky windows. Keep your house clean as well. Not only is it healthier, but it will look better and last longer. When you are ready to sell your house, deep cleaning will be easier. Make maintenance and cleaning a priority from the start. A fresh coat of paint goes a long way to enhancing your home’s appearance- inside and out. On the inside, use neutral colors. They will lighten your rooms and make everything look crisper. Focus mainly on high traffic areas. Keeping your paint fresh not only makes your home look better, but it also protects surfaces from wear and tear and the weather. Your kitchen and bathroom are one of the first places people will look inside. Keep your kitchen appliances updated. Consider replacing your cabinets or at least the knobs and handles. Update your faucets and light fixtures. Keep it clean and clutter-free. In the bathroom, replace your toilet seat and consider installing a pedestal sink. Regrout the tile in your shower and bathtub and replace chipped tiles. Consider upgrading your countertops to granite or marble. If your system is old, consider replacing it with a newer model. Newer systems are more energy efficient and will save a lot of money in utility bills. Buyers are tuned into saving money and being kinder to the environment. This is a great way to do both. Flow is key right now. Look for ways to open up space in your house. Are there non-structural walls you could knock out? Maybe an island in the kitchen you could remove. Wide open floor plans are extremely popular. If you’re thinking of selling soon, consider opening it up. There are many ways to add value to your home, relatively inexpensively. Some are little things you do week after week, year after year. Others require more energy and capital. They don’t have to be difficult or expensive–get started today with these seven ways to increase your home value. Contact The Lippincott Team to learn more about buying and selling your home in the Cypress and Northwest Houston area. Selling your home is an exciting and rewarding experience. It’s also challenging sometimes. Whatever you can do to increase its probability of sale is time and money well-spent. Set your house apart from others in your neighborhood through the art of home staging. Get started with the following guide. Selling a house is all about the experience potential buyers have as they walk through. What catches their eye? Can they envision their family living there? How do they feel? Don’t leave it to chance. 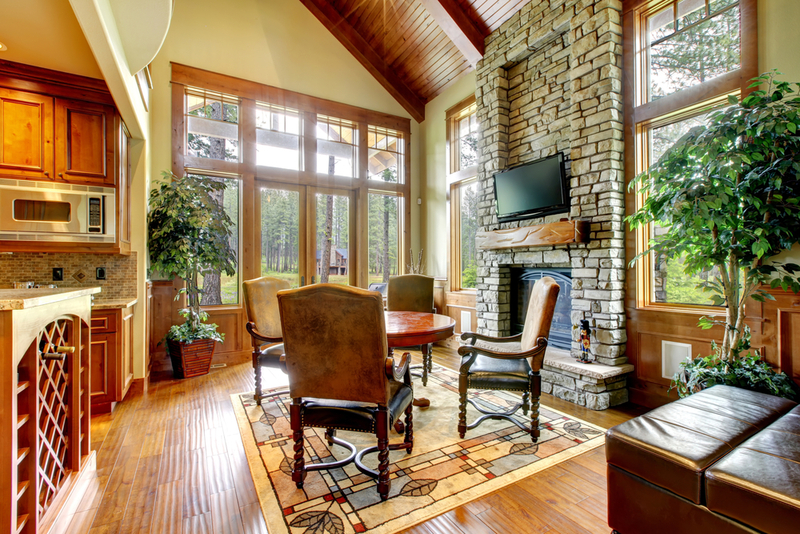 Be purposeful and intentional preparing your house with the following home staging tips. Your first impression is all about curb appeal. What do they see when they first drive up to your property? This will set the tone for the entire viewing. Does it need paint? Are there obvious repairs that need to be done? Keep your lawn cut and neatly edged and your bushes trimmed. Power wash your driveway, sidewalks, and your house if it is particularly grimy. Keep your lawn leaf-free and add new mulch to your flowerbeds. Clean your windows, including the frames and shutters. Don’t forget your porch and entryway. Clean and declutter. Add fresh flowers and potted plants. Keep it bright and open. Much time is spent in the living room and family areas. Entertaining guests, watching TV, and other family activities all take place there. It’s important to make it welcoming and easy to envision family life. Think warm, neutral colors. Make good use of the space, but don’t cramp it with too much furniture. If your furniture is old, consider renting furniture for staging. Let your fireplace shine. Bright and open is your goal. Your kitchen is the star of the show. 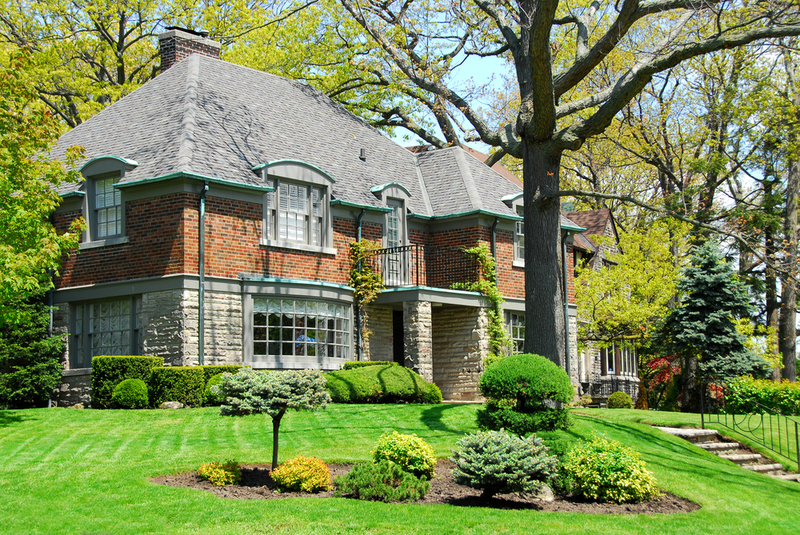 Potential buyers are thinking resale value, so you need to make an impression. Consider upgrading your counters and cabinets. If upgrading is out of the question, consider simply staining your cabinets and updating the knobs or handles. If you’re going to spend any extra money, however, this is the place to do it. Make sure your faucets, lights, and fixtures are up to date. Make it feel open and spacious. Your bathrooms are another hot area for resale value. You want potential buyers to think extravagance and luxury. The lighting should be bright, but not overly so. Make sure your bathroom fixtures are updated and in good condition. Remove any signs of wear or use. Stock your towel rack with high-quality plush towels. Consider adding fresh flower arrangements for that extra wow factor. People want to feel comfort and coziness when they walk into your bedrooms. Your bedrooms need to seem large and relaxing. Use soft, neutral colors for paint and decor. Limit your furniture to a bed, dresser, and only a couple of other small items. Open your curtains. These two things will make it feel more spacious. Remove most of your clothes from the closets so they seem as large as possible. Purchase new bedding that you can take with you to your new house. A luxurious comforter, accent pillows, and sheets will make your bed stand out. Think peace and tranquility. When potential buyers walk through your home, you want them to imagine their family living in it, not yours. To that end, remove all pictures, photos, and personal items. Anything with your family name or personal details about your life needs to be moved into storage. Keep all decor neutral and generic. Clean every room thoroughly, but especially your kitchen and bathrooms. Do a deep cleaning and keep it cleaned as long as it is being viewed. Consider new paint and choose warm, neutral colors. Earth tones are always a safe way to go. Don’t forget this entire process is all about buyer experience. You want them to picture themselves and their family living in your home. And you want it to feel good! Take the extra time and spend the money you can to create the best buyer experience. Get started with these home staging tips to sell your home soon. The Lippincott Team is your Northwest Houston and Cypress area resource for real estate and investment properties. For more information on staging your home or for help selling it, Contact Us. 5 Home Buying Tips: What Should You Look For? In the market for a new home? Congratulations! What an exciting time. You’re likely researching houses online, scheduling viewings, and comparing what you find. It’s easy to get caught up in the frenzy and excitement and overlook important things if you don’t have a strategy. This is especially true when viewing houses. When you go to look at a house, it’s important to have a game plan. You need to have a good idea of what you want AND what you don’t want. Be purposeful as you go from house to house. Make sure you don’t overlook something that will come back to haunt you as a homeowner. Get started with these 5 tips. Make sure you take a good walk all around the outside of the house. Watch for signs of poor maintenance and potential problem spots. Look at the paint, the windows, the gutters, and the roof. You don’t want any surprises to cost you later in maintenance and repairs. Take a good look at the layout of the house. Look beyond the obvious, an adequate number of bedrooms, bathrooms, and social areas. Pay attention to room arrangement, the general flow, and how space is used. Walk through the house like you would if you lived there. Think about how the members of your family will live and move about. Picture a typical day in the life. How does it feel? How much is privacy important to you? Look at the fence around the backyard. What will your neighbors be able to see? Look our the windows, especially in the bedrooms. Make sure you’ll have the privacy you want. Keep in mind well-placed bushes and shrubbery can fill gaps and provide additional privacy. Buying a home is a packaged deal- neighborhood and neighbors all included. You can find out a lot about a neighborhood online- crime level, history, and all about the HOA. But some things you can only know when you’re physically there. Notice the condition of the surrounding houses and public areas. Also, note the location. Make sure you’ll have easy access to the shopping, entertainment, and other amenities you need. How far do you want to commute to work? Notice the houses nearest yours, as well. These could be your new neighbors. Buying your next home is a big investment. You’ll likely live many years there and you need to make sure you’re making the best choice. Let these 5 home buying tips guide you in the search for your dream home. Ready to begin searching for a new home or attend an open house? Contact The Lippincott Team – we can help find your perfect home in Northwest Houston including Cypress, Tomball, Spring, and The Woodlands area. Finding a house you like is one thing. If the neighborhood isn’t right for you, though, a house you like may never be a home. Take some time to consider the neighborhood you will move into. Making a good choice here will go a long way to a great living experience. Use the following guide to get started. Local property taxes vary from region to region and sometimes even within a single region. 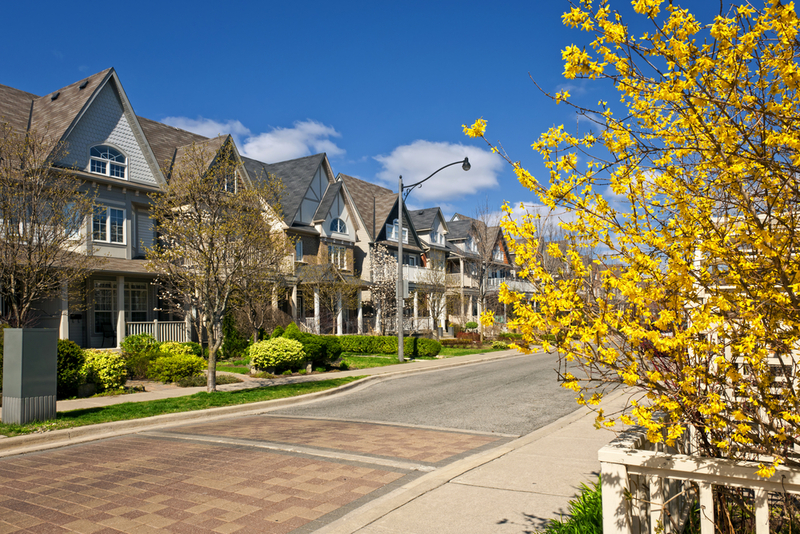 Your property taxes can have a significant impact on your housing costs. It is well worth your time to do a little research on the tax rates in the neighborhoods you are considering. While you’re at it, find out the HOA or POA fees and deed restrictions that apply. Consider these costs when making your decision. Make sure the deed restrictions will accommodate your lifestyle. If you have kids or are planning to have kids, the local school system is very important to examine. You will want to know the quality and choice of schools available to you. A little research online will go a long way. How is the local public school district ranked? Are there charter, magnet, or other private school choices available? What is the teacher-to-student ratio? Realizing that higher quality schools typically mean higher property taxes, if you do not have kids, it could make more sense to look for housing nearer lower quality schools. Keep in mind, though, that higher property taxes also typically mean better roads, safer streets, and proximity convenience. Have a good idea of what housing style(s) you prefer. Drive around or look online at different houses and styles. What’s important to you? Are you looking for a single story, double story, or 1 ½ story house? How important is the size of the back yard? What colors do you prefer? Take a look at the layouts of several models to get a feel for the design and features you prefer. Take a look at the places you will visit frequently. How far will you have to travel to get there? Is there public transportation available? How affordable and convenient is it to use? Are you interested in being within walking distance to important places? Examine the roads that you will use frequently and make sure they’re within your expectations. There are many online resources to look up crime information in any area. It is important to feel safe in your home and community. You can get a sense for crime in your city, zip code, and even at the neighborhood level. You can also visit your local police department’s websites or even give them a call to get an idea of the safest neighborhoods. How far are you willing to commute to work each day? Take a look at where your neighborhood is located in relation to the places you will frequent. Are there ample grocery, shopping, and entertainment options nearby? Is it easy to get to your neighborhood? Less driving time means more time to enjoy your family and new life. Are there many public events for you and your family to attend? What kind of festivals, holiday events, and social gatherings do they have throughout the year? Check out the local nightlife, neighborhood events, and other social options. Make note of the noise levels at different times of the day. Get a feel for the friendliness of your would-be neighbors. Are you looking for a quiet, private life, or do you enjoy getting to know your neighbors? Make sure the culture fits your lifestyle. You will likely live in your new home for a long while. Take the time you need to find not only the house but also the neighborhood that’s right for you. Use this guide as a starting point to finding your new home. The Lippincott Team is your Northwest Houston area resource for real estate and investment properties. Contact Us for help finding your perfect place to call home.